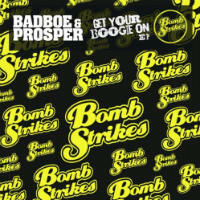 Production duo Badboe & Prosper reunite for one of their occasional forays into effortlessly effective party breakbeats – this time for the Bombstrikes label with the Get Your Boogie On EP. Which of course you undoubtedly will when you hear the unlikely pairing of Ann Peebles & West Coast emcee Mack 10 on the title track. 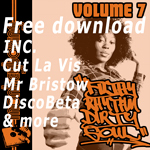 Possibly even more persuasive a groove is the even less likely pairing of Betty Wright and Timbaland however (which also features a well-known movie cheerleading snippet) on How Funky Is Your Chicken and by the time you get to the end-of-the-night good time groove Gimme What You Got, you will of course have a very loose caboose.